Prevent Divorce By Relying On God! You can help to prevent divorce, by going through pre-marital counseling, gotten to know each other at the very minimum about of time at the very least one year. Here are some encouraging scriptures about divorce. 1 Corinthians 7:13 And if a woman has a husband who is not a believer and he is willing to live with her, she must not divorce him. Prevent Divorce By Focusing On God! Learn How To Prevent Divorce! The most significant ways to prevent divorce are to honor God, and accept your spouse! I know personally the pain involved in going through a divorce. It is the worst pain I have experienced in my entire life. I did not want the divorce which is probably why it was so painful. Being in a problematic marriage was not a picnic at all either, actually very gut-wrenching to say the least. I tried to work things out until the very end, but my ex-wife gave up hope and trying. Prevent Divorce By Applying Conflict Resolution! 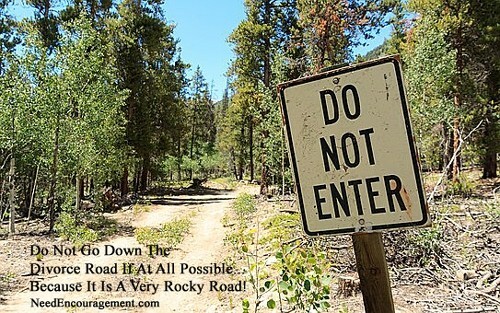 The Road To Divorce Needs Not To Be Even Considered! Do not be afraid to get Christian counseling; it might be the best thing for you to do if you are trying to prevent divorce. Nowhere in the Bible is this seen as grounds for divorce. In 1 Corinthians 7:12-13 Paul very clearly urges men and women in such situations not to divorce their unbelieving spouse. Matthew 19:6 renders this an illegitimate excuse when it says, “What therefore God has joined together, let not man separate.” Marriage is sanctioned by God and is not dependent on the context in which those vows were made. Regardless of where you were married or who married you, if you have made a covenant of marriage, the Lord expects you to keep it. “He is a loser (poor provider).” “She hasn’t taken care of herself physically.” “I would have never married this person if I had known what I was getting myself into.” “I deserve better.” Even the best of marriages may enter lulls where thoughts like these remain prevalent for periods of time. Marriage can be hard. 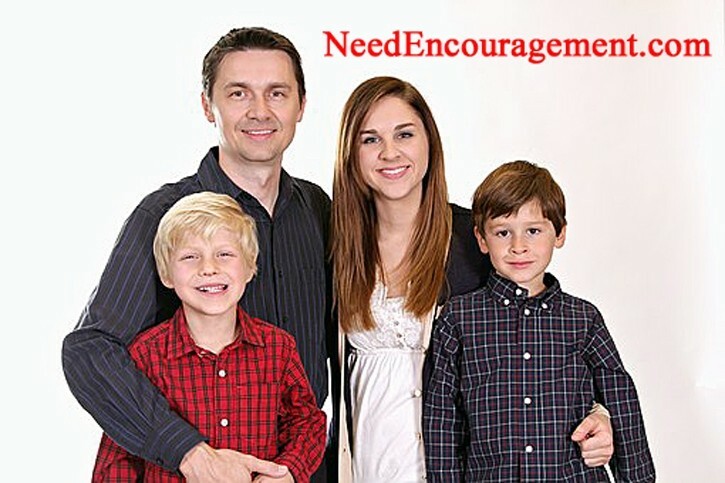 Your spouse may grieve or disappoint you greatly. However, this is not a legitimate excuse to bolt. If God commands us to love our enemies (Matthew 5:44), we can love our spouse, even if we can’t muster those romantic feelings that once defined the dating or honeymoon phases. The marriage covenant is binding until death, not until one or both of you fall out of love. There is a crucial difference between worldly happiness and godly happiness. The first is dependent on circumstance, and the latter prevails in spite of circumstance. The Westminster Shorter Catechism states, “man’s chief end is to glorify God and to enjoy him forever.” God cares deeply about our eternal happiness! In any of the above cases; believers can be faithful to the vows that they made even if their marriage is a struggle. If you believe that you can be happier outside of the will of God, then you are captive to a lie crafted by Satan. Do you want to pit yourself against the sovereignty and wisdom of God? Even friends with the best of intentions can lead you astray. This is why it is important to commit yourself to the full counsel of God in his word, allowing that to become your ultimate counselor, no matter what differing opinions you hear elsewhere. Apostle Paul directly addresses this in Romans 6:1-2: “What shall we say then? Are we to continue in sin that grace may abound? By no means! How can we who died to sin still live in it?” Our God is full of grace, but that should not cause us to take advantage of it by being bound to sin. Instead, it should cause us to live in the freedom of his will, desirous of keeping his commands. Christ died so that we would no longer be slaves to sin but slaves to righteousness. Jesus said, “If you love me, keep my commands” (John 14:15). If you truly love Christ, you will not separate “what God has joined together” (Mark 10:9). Prevent Divorce From Wrecking Your Marriage! How To Prevent A Divorce Thru My Divorced Experience? Know who you are going to marry (someone with shortcomings). 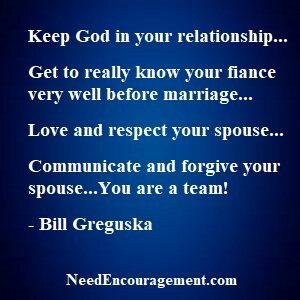 Make sure you both have an active relationship with God. Realize that there will be difficulties you will need to face together as teammates. Be sure to date for at least a year – or even more – to see how your partner handles life situations. Do things alone and with other couples who are dating. Do not allow your feelings of romance to cloud your thinking. When you do get married, keep focused on making your spouse happy. Make plans together and divide responsibilities up. Do not let children become the center of the marriage. The center is God, you and your spouse. Have date nights with each other each week and spend time with friends, too. Do not let your frustrations and anger spill over on your spouse. Prevent Divorce By Learning How To Argue Less! Moving Beyond Conflict To Prevent Divorce! Do All You Can Do To Prevent Divorce! It Is An Effort Of Three! You + Your Spouse + God = A Strong Marriage! This reminds me of what it is addressed in Ecclesiastes 4:12 Though one may be overpowered, two can defend themselves. A cord of three strands is not quickly broken. This should be examined before the word divorce is ever thought of. God created marriage and wants it to last for all of us! Even though the Bible gives the possibility for divorce, it does not mean God desires a divorce to occur in every situation. Instead of asking, “What are the grounds for divorce?” the question should be “What are the reasons for forgiveness, restoration, and counseling?” Divorce is tearing apart of two flesh that has become one!